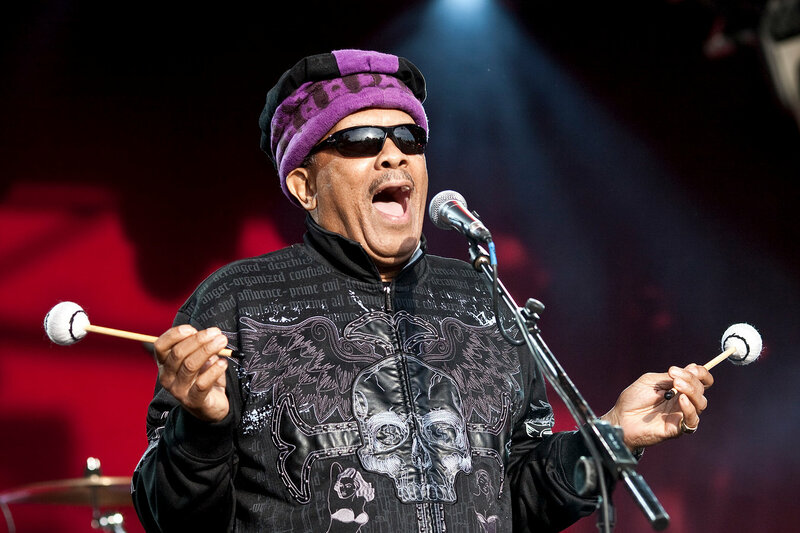 Roy Ayers is a cool dude. From his music to his style of dress both past and present he continues to input positive vibrations in my soul. I remember the 1st time I knowingly heard of him through a former employer. A very cool woman by the name of Melanie Dizon, she designed some beautiful shoes and handbags and I had the privilege of working along side her for a little over a year. Anyway one day while working on line sheets in her home office we decided on a music and ice-cream break; it was the dead of summer. We broke out the Häagen-Dazs Pistacchio and she plugged her ipod into her stereo --- and the sweet sounds of Roy Ayer's "We Live in Brooklyn Baby" came blasting through. You see I lived in New York and Brooklyn no less, and I'd never heard this song. For the remainder of that summer and since I throw this joint on to remind me of the greatness and legacy that Brooklyn holds and to remind myself that "our time is NOW"
"Life is beautiful. I enjoy life. I love living. I think my inspiration comes from my mother, primarily, my mother and my father, but my mother. Basically, because she instilled a lot of inspiration and good vibrations to me and good information. I mean she gave me information like, the Golden Rule, do unto others as you’d have them do unto you. And I try to live by that. And she also told me a prayer that I say everyday, every night when I go to bed [begins to recite prayer]. I live by that. I like people and I like to do good things for people and I like for people to do good things to me. I believe that what you give in life to others can come back to you. Positive begets positive, negative begets negative. So, I try to stay positive as best I can and I just love music. Music is my life, everyday, every moment, every second, every hour. Every minute of the day, I love music and music is my life. And so that’s what I’m all about." Beloved Brooklyn "We're gonna make it baby"